We recently had a presentation at Activate 2018 about entity extraction in the context of a product search. For example: how to tell, when the user typed in Activate 2018, that the intent was to run conference:Activate AND date:2018? One of the technologies to solve this problem is OpenNLP. We ran a demo of OpenNLP during our Activate presentation, and you can find the commands under our Github account. In this blog post, we’ll run through that same demo and give some more details on the thinking behind it. OpenNLP is, to quote the website, a machine learning based toolkit for the processing of natural language text. It provides lots of functionality, like tokenization, lemmatization and part-of-speech (PoS) tagging. Of this functionality, Named Entity Extraction (NER) can help us with query understanding. OpenNLP is open-source (Apache license) and it’s already integrated, to various degrees in our favorite search engines: Solr and Elasticsearch. 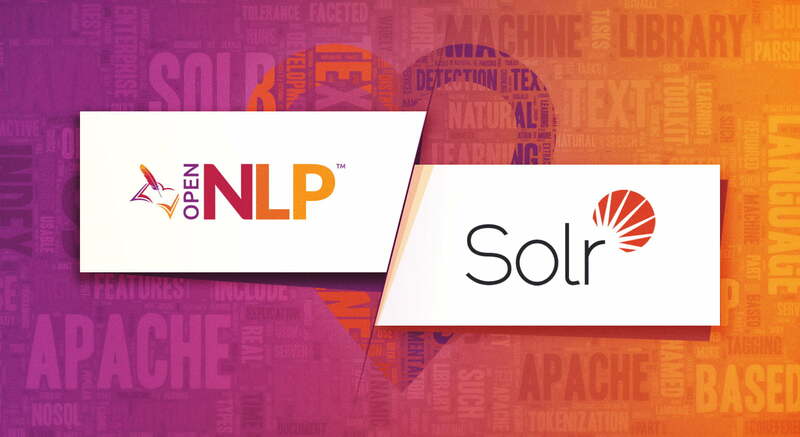 Solr has OpenNLP-based tokenizing, lemmatizing, sentence and PoS detection in its analysis chain. There is also an OpenNLP NER update request processor. Elasticsearch, on the other hand, has a well-maintained Ingest plugin based on OpenNLP NER. if you’re running a Java application (which includes Solr/Elasticsearch), you will likely prefer the Name Finder Java API. It has more options than the command line tool. running bin/opennlp loads the model every time, which adds latency. If you expose NER functionality through a REST API, you only need to load the model on startup. This is what the current Solr/Elasticsearch implementations do. We’ll still use the command-line tool here, because it makes it easier to explore OpenNLP’s functionality. You can build models with bin/opennlp and use them with the Java API as well. How do you get a model? You can either get a pre-built one (there are older, 1.5.0 models that still work here), or you can build your own. To use OpenNLP for detecting URL chunks, we need to provide a custom model. The training tool runs through the data set, extracts some features and feeds them to the machine learning algorithm. A feature could be whether a token is a number or a string. Or whether the previous tokens were numbers or strings. In OpenNLP, such features are generated by feature generators. You can find all options here. That said, you can always implement your own feature generators. Once you’ve identified the feature generators to use and their parameters, put them in an XML file. Check out our GitHub account for a feature generation example close to the default one. OpenNLP comes out of the box with classifiers based on maximum entropy (default), perceptron-based, and naive Bayes. To choose the classifier, you’d provide a parameters file. There are examples for all supported algorithms here. number of iterations. The more times you go through the training data, the more influence provided features will have on the output. This is a trade-off between how much will be learned on one hand, and overfitting on the other hand. And of course training will take longer with more iterations. cutoff. Features that are encountered less than N times are ignored, to reduce noise. Evaluated 74 samples with 74 entities; found: 74 entities; correct: 74. TOTAL: precision:  100.00%;  recall:  100.00%; F1:  100.00%. OpenNLP is a versatile tool for entity extraction. Default options and built-in feature generators work well for natural language, like picking up entities from books or articles at index time. That’s why current OpenNLP integrations for Solr and Elasticsearch are on the indexing side, rather than the query side. For query understanding, it’s usually more work to build a model that can accurately extract entities from a small context. But it can definitely be done by providing enough data and good features and algorithms for the use-case.